Central Catalonien er Catalonien navle med et fantastisk udgangspunkt for udflugter. 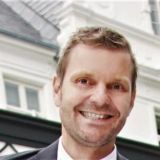 Det oser af uspoleret autencitet så rent faktisk behøver man ikke rejse til den anden side at jordkloden for at finde uspoleret skønhed. Central Catalonien byder på 300 solskinsdage om året og med regionens placering, for foden af Pyrenæerne, får man en forrygende og helt unik udsigt fra de fleste feriehuse. Her kan du nemt blende ind med lokalbefolkningen, maden er fremragende og ikke justeret til turisternes ganer, du kan købe lokal ost hos den lokale ostemager og nyde den på terrassen mens børnene boltrer sig i poolen og du bjergtages af den excellente udsigt. Central Catalonien er derfor, ikke uden grund, vores absolutte favoritregion i Catalonien! Central Catalonia & Solsonés – Blend in with the locals in scenic and unspoiled surroundings! When we, about 15 years ago, first arrived at Catalonia’s hinterland, we were immediately captivated. We couldn’t believe that such a large area in Europe was untouched by tourism, beautiful, possessed by a kind and accommodating local population, and furthermore, didn’t try to sell you anything and had the perfect summer climate from the middle of May to the middle of September. The menu chart was yet to be translated into English, German and Danish and the food hadn’t been influenced by tourism – Central Catalonia, the most extraordinary authentic experience! We, our friends and family had spent countless hours and fortunes on finding an authentic travel destination by travelling to the other side of the planet, and then to discover that such a destination was ‘right in the backyard’. 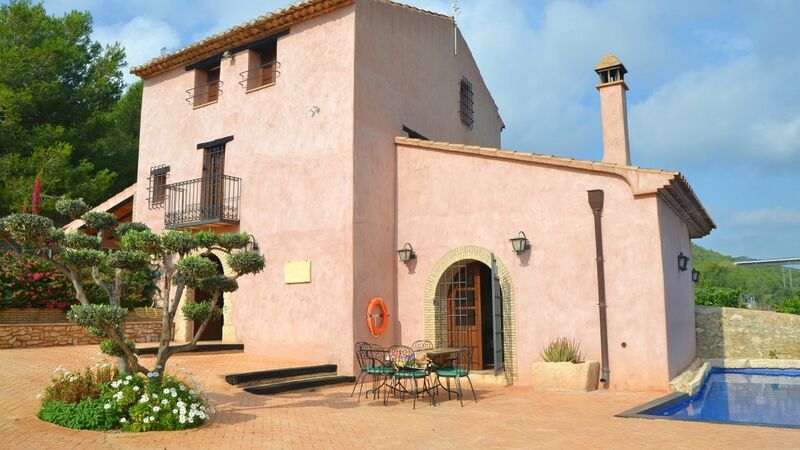 We had this feeling 15 years ago and luckily nothing has changed – an authentic and local experience still comes with renting a holiday home in Central Catalonia. In Central Catalonia you blend in with the local population, who are always kind and willing to help, you scan the menu chart and might even try something unknown (which almost always ends great), you can take the car and visit the local cheesemaker, where you can taste and experience the heavenly good goat cheese, and if you are even luckier, you can enjoy the homemade yogurt, which the house owner delivers in the morning. All of this are just bits of the authentic local experiences you may have in Central Catalonia, and isn’t this exactly why we travel, to experience the true culture at a foreign destination? Besides the authentic experience, Central Catalonia is outstandingly beautiful. Central Catalonia lies at the foot of the Pyrenees, so you will have an excellent view from close to all our holiday homes in the region. A friend of ours once rented a holiday home. An early morning, he called to tell that his wife had been truly touched by the overwhelming view. It may not be everyone who will experience such seduction, but she was nothing but right – Central Catalonia is beautiful! The holiday home El Monastério is in Central Catalonia and, like most of our houses, has a wonderful view. Because of the location, at the foot of the Pyrenees, our holiday homes can lie in everything from 400 vertical metres to 1000 vertical metres. Some of our guests might believe that this will result in snow and cold weather. However, this is not the case. If you are lucky, this might mean a small reduction in temperature and trust us when we say this won’t be an issue but will just make the stay even more comfortable. And a further bonus, there are hardly any mosquitoes in these heights. 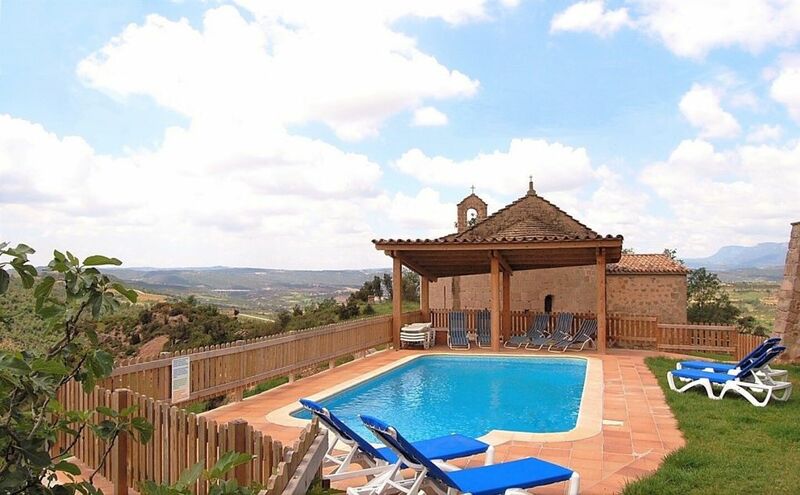 Central Catalonia was one of the first areas in Catalonia to restore the large and beautiful country homes into holiday rental homes, which is also why the selection of quality holiday homes in Central Catalonia is great. Central Catalonia is our absolute favourite region in Catalonia! As mentioned, you are in the belly button of Catalonia when you rent a holiday home in Central Catalonia. Besides the local attraction and activity possibilities, you can go on a one-day trip to the lovely city of Girona and then later, go for a swim at one of the ‘small secret beaches’ on the coast of Costa Brava. You can also consider going for a hike or a climb in the Pyrenees. You can spend a day in Barcelona, drink wine in Penedés or spend a day in the wild amusement park Port Aventure. You can also stay in the local area and visit one of the local markets, maybe visit a local cheese farmer or sausage maker (ask your house owner for whereabouts), sail in a canoe or kayak in the Llobregát river. You can also consider visiting an animal rescue centre, where they work on preserving threatened national species. Or, if you are up for an early adventure, you can set the alarm clock and visit and help the shepherd Richard with his sheep. We ourselves have been Richard’s assistants and besides having an unusually beautiful experience, we had a fun and really nice day. The architect Antoni Gaudí, who is mainly known for his works in the city of Barcelona, has also made a small ‘secret’ unique park in Central Catalonia. To get to the park, you’ll have to take a train. And, as you are in Central Catalonia, not mass-tourism land, you won’t have to worry about long lines or lots of tourists. The local charm is preserved, and you are not just another team of tourists. Central Catalonia has many marked hikes in all kinds of beautiful surroundings and all kinds of difficulty levels. The local tourist office in the main city Berga has brochures on all hikes in the region. There are maximum 30 minutes in car from Central Catalonia to the city of Vic. Vic has one of Central Catalonia’s largest markets, which takes place every Tuesday and Saturday, and besides the great market, Vic is a lovely city that is worth a visit. The most fantastic thing about the activities in Central Catalonia is that you will not at any point feel like you are part of a ‘tourist circus’. We founded SydensFeriehuse (CataloniaHolidayLettings) after a private vacation in Central Catalonia. We believe in responsible tourism where the local population and community are not hurt by tourism. In Central Catalonia, nature is handled gently, the local population is kind and accommodating, the local values are preserved and greatly prioritized, and everyone is proud of the beautiful region. A tip: Our philosophy is that a great vacation consists of a lovely holiday home as a base, and then some exciting excursions and activities. We have, to support this, made an activity document for all the regions of Catalonia. You will receive the activity document when you book your holiday rental home. The activity documents are based on our own experiences, and we have tried to make them as specific as possible. As a supplement, it can always be nice to visit the local tourist office for further inspiration. It is easy to go on a half-day or whole-day visit to other parts of Catalonia from Central Catalonia. Barcelona is approximately one and half hours’ drive away, and you could consider bringing swimming clothes if you’d fancy going for a mid-day swim. The city of Barcelona has so much to offer; art, culture, football, beach life and shopping, just to name a few. Furthermore, the atmosphere in the city centre is something special – small streets filled with street art, cafés, and restaurants. Regarding parking, it is a bit more expensive to park in a parking house. However, it gives the opportunity to park in the city centre, with the added benefit of avoiding spending unnecessary time searching for the cheaper parking options, which is often located a bit outside the city centre, meaning you would also have to calculate in a ticket for the metro. If you wish to go on an alternative guided tour, we would recommend that you follow our blog on Catalonia and visit our Facebook page, where we, among other things, post about guided tours and other activities. Beaches: The nearest beaches from Central Catalonia are in the city of Barcelona and in a nice city near Barcelona called Sitges. You may also consider driving to Costa Brava, which is a bit longer drive, but as you reach Costa Brava by going through Girona, which is a wonderful city, we think it is worth the long drive. There are also some lovely small villages along the coast of Costa Brava. Central Catalonia has no less than 300 annual sunny days, so we can almost guarantee sun. If you rent a holiday home in Central Catalonia, because of the vertical meters that vary from 400 – 1.000 meters you will experience a fresher and drier heat than that of the coastal areas. In July and August, you can easily sit outside for as long as it pleases you, and the swimming pool will have a very nice bathing temperature. In the off-seasons, the weather is a bit more unpredictable, but between May and October the temperature will mainly be nice, and the days will be sunny. Don’t forget, 300 annual sunny days. A tip: On special hot days, you can advantageously close the shutters of the house, as it will help preserve a nice chilly temperature inside the house. Local Catalans shops at the local markets. Here the farmers from the region bring their fresh tomatoes, onions, salads, and many more delicacies. Furthermore, the markets are filled with local eggs, cheese, sausages, and even live chickens and rabbits. The atmosphere at the markets is so nice, the aroma is fantastic, you can taste the best olives, and you really must do some of your shopping here. The commodities are as fresh as they come, and it is overall a wonderful experience. 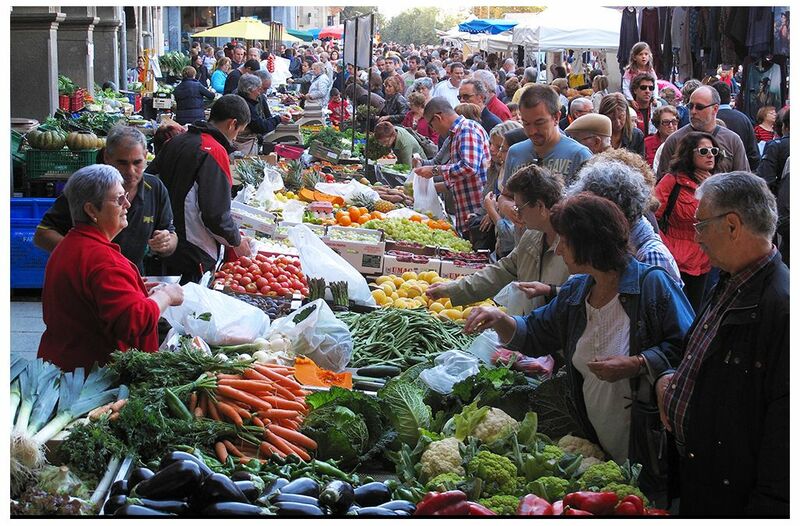 Almost every city in Catalonia, large as small, has a weekly market day. The larger cities have the largest markets, and even though the smaller markets are very nice and worth a visit, we highly recommend that you visit a large market as it is quite an experience. To ensure you don’t miss one of the lovely markets, be aware that they close at around 13:00 and do not reopen. We recommend that you ask your house owner about their preferred markets, wake up a little earlier and visits markets. And, if you are in the mood, maybe you can finish the excursion with a classic 3 course ‘Menu del dia’. Tip: Shop at the local markets, the commodities are fantastic and so is the visit. Even the kids will enjoy it and can, for a few coins, find many funny things at some of the stalls. Berga: At the Rambla every Saturday between 8:00 and 13:00. Vic: Every Tuesday and Saturday at the large central square between 8:00 and 13:00. It is possible to park in a parking basement under the square. This is one of the best markets. Vic is also known for producing some of the best sausages in Spain, because of the city’s ideal humidity. Solsona: Friday between 8:00 and 13:00. Cardona: Every Sunday between 8:00 and 13:00. Gironella: Smaller market. Wednesday between 8:00 and 13:00 in the old part of town. Besides the above-mentioned markets with Vic as the largest (and best) market, almost every small village has its own smaller weekly market – ask your house owner for further information. In Catalonia, most go out for lunch and eat a large 3-course meal, and they stay at home at night and prepare some nice tapas for dinner. Because of this, the supply of restaurants is greatest at lunchtime, where they also offer their lunch menus for a very reasonable price (the prices are best from Monday to Friday and then a bit more expensive in the weekend). Typically, on weekdays you can have a lovely ‘Menu del dia’ for 10-15 €, which consists of 3-4 courses where drinks often are included too. Some restaurants don’t show tourists their ‘Menu del dia’, but instead their a la carte chart. Always ask for their ‘Menu del dia’ (only lunch), as the ‘Menu del dia’ will help you save money (half price). In the evening, the typical Catalan prepares a tapas table at home, which consists of lovely local cheese, sausages and a great salad. Copy this trend and eat tapas as dinner at home. This will save you time in the kitchen, and all you must do is take advantage of some of Catalonia’s treasures – their sausages, cheese, fresh Catalan vegetables as spice and toppings. To finish off this lovely stay at home dinner, you could consider the fantastic Catalan nougat Turrón as dessert. Alternatively, if you’d rather eat from the sea, fire up the grill and prepare one of Catalonia’s fresh fish or lovely shellfish. 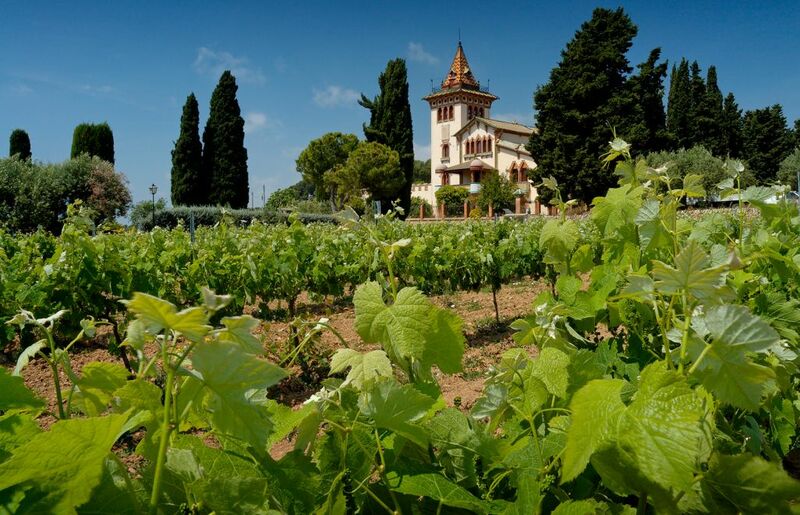 Furthermore, as you are at home and don't have to worry about driving home, this gives you the opportunity to taste some of Catalonia’s bubbly Cava or great wine. If you want to be as local as possible, you buy your vegetables at the local market, the sausages at the nearest butcher and cheese at the market or at the local cheese maker (read more about Catalonia’s cheese). All there is to say from us is… enjoy! A tip: Go out for lunch, and then eat at home by the grill in the evening. This might also suit the kids better, as they could be tired and would rather play and swim than behaving at a formal restaurant. Arriving along the Llobregát River is a scenic experience. Small villages spread around the hilled area, with authentic Catalan limestone houses and grazing cows as the setting. We know the area well and are happy to share our tips and experiences. Central Catalonia has many wonderful cities, for instance, Berga, Cardona and Solsona, all cities with a typical antique city centre. The Catalans have a sweet tooth, so every city has at least a couple of bakers and a chocolate store, meaning there’s a large selection of cakes and chocolates. If you drive a little further, you will find the cities Manresa and Vic, which are worth a visit. Berga lies as ‘the gate to the Pyrenees’ and is also the main city of the region Berguedá. The city has a lovely antique city centre, which lies centred around the main street Placa Sant Joan. You can also consider going to the Rambla, which is particularly lively and joyful on Saturday as this is the weekly market day. Furthermore, if your stay overlaps with La Patum, you will have a unique opportunity to witness and participate in one of Catalonia’s most spectacular town festivals. Stepping through the city gate of Solsona is like stepping into the past. The pulsating antique city centre is full of life, especially during the forenoon, when the sun rises, and during the evening, after the locals have had their ‘siesta’. Except for Friday, where the local market merchants arrive early in the morning along with their wonderful vegetables, oils, meat and fruit – Friday is full of life, wonderful smells and a great vibe the entire day. The landmark of Solsona is the beautiful Cathedral, Santa Maria. In the rest of Catalonia, the city is known for its carnival, which takes place during February, where people from the entire province travel to Solsona to party and enjoy the carnival. When you exit from the mountain tunnel, Cardona shows itself and this is an extraordinarily beautiful sight. The city lies on the mountainside and has a beautiful fortress as the highest point in the city – a great strategic fort when it came to spotting enemies during previous wartimes. The city’s location, its steep streets and the beautiful view over the landscape and the river Cardoner makes Cardona one of a kind. Besides the city itself, there’s a possibility to visit a local salt mine, which is a fun experience, and the fortress is not to be missed – Cardona is filled with many great activities. Cardona is also home to a very popular market, which takes place every Sunday, where every other shop in the city is closed and people make a day of it. They go for a nice walk in the city, maybe combining it with a visit to the church and some refreshments and tastings at the market. Gironella is split in two by the Llobregát river and holds a special place in our heart. When we started our company 15 years ago, we used Gironella as base and point of reference, and we have thorough knowledge about almost every shop, restaurant, and café. For instance, we know you can rent a key to the local tennis court and pay rent in a specific bar, we know what the different restaurant's menus consist of, and much more. Recently, La Destilleria opened in Gironella, an above standard restaurant. The restaurant has a summer terrace that overlooks the Llobregát river. The main street of the city is a long straight street filled with shops, restaurants, and a supermarket. Walking down the street will make you feel like you’re the only tourist in town, even though, if you listen carefully, will be able to hear many different languages, as Gironella lies conveniently for many of our holiday homes. The old part of town lies on the other side of the river. Here the streets are a little steeper and lead you to a higher level of vertical metres where you will find a square that has a lovely view over the river. The old part of town hosts a market Wednesday forenoon. The latest addition to Gironella is a path that follows along the Llobregát river. This is a nice walk and works also as part of an established cycling route. Vic is another city we hold dearly and is also a city where you fully get to experience the Catalan culture. Vic is by some in Catalonia known for being a city where they never see the sun, however, this is not true. During the early hours of the day, there’s heavy fog over ‘plana de Vic’, the plain of Vic, but this can be a quite fascinating experience. Driving from Vic and down to the plain of Vic can feel like you are driving from the sun into the fog – quite fascinating. Later in the day, the fog is completely gone, and the extremely nice city welcomes you into a giant antique city centre with small narrows street and local shops on every corner. The city’s square is one of the most beautiful in Catalonia. The city is especially vivid and joyful on Tuesdays and Saturdays, as the square and narrow streets are hosting a market. There’s a very short distance between the butchers, as the fog creates a fantastic climate for making the famous Catalan dried sausages, named Fuét and Llonganisa – remember to buy some of the sausages if you visit Vic, they are simply the best in Spain (and maybe even in the world)! Walking through the city is something we highly recommend; the city and its people are wonderful, and you will automatically pass the city’s beautiful Cathedral. Outside the city centre, you will see a beautiful example of one of the typical Catalan bridges built in limestone. Vic is also home to several great restaurants – enjoy Vic, it has it all! Manresa is the region’s previous and present industrial centre. Central Catalonia was heavily influenced by textile industry with the rivers as pivot. Manresa has a large city centre and is also the most likely place to find a restaurant if you fancy going out for a bite in the evening. We have previously finished a trip to the mountain and the monastery Montserrat with a dinner in Manresa. Catalonia has been influenced by many different religions, and Manresa in no exception, as there are traces of a larger Jewish minority. The river Cardoner runs through Manresa, and the city’s trademark is its 3 beautiful bridges over the river. We can also recommend visiting the town hall, the city museum and the beautiful cathedral, if you decide to go for a walk in Manresa. There’s a possibility of taking a train to Barcelona from Manresa, even though this will take a bit longer than the car. The city works as the centre of the smaller region Bagés, which in recent time has developed wine production, something this part of Catalonia hasn’t been known for previously. So, there are possibilities to visit vineyard and winemakers in the area. A tip regarding Central Catalonia: If you arrive Saturday and haven’t had the time to fill the fridge, drive to Cardona where there is a great market and the shops are open till around 13:30. If you would like to avoid the long drive, the village Prats de Llucanés is also home to shops and a supermarket, which is open until Sunday forenoon. Plane: Both the airport of Barcelona and the airport of Girona lie relatively close to the holiday homes in Central Catalonia. From both airports you will have to calculate in approximately one and half hours of driving, however, this obviously depends on the location of your chosen holiday home. The airport of Reus lies within two to two and half hours of driving from the holiday homes in Central Catalonia. Car: If you decide to drive in your own car, you could consider going over the Pyrenees via E-9, meaning you will arrive via Foix in France - this is truly a beautiful drive, which also gives you the opportunity to visit Andorra. Even though this route is lovely, you must be aware that you will be driving in the mountains, so if you suffer from a fear of heights you may need to think twice about going over the Pyrenees. Alternatively, you can also take the more popular route, which is the coastal highway via Perpignan, but be aware that this route can be a little packed on Saturdays. Public transportation and car rental: The holiday homes usually lie secluded, meaning arriving with public transportation can be difficult. Therefore, we recommend car rental, even though taxi and bus, if necessary, is an option. You can also read our tips regarding car rental.